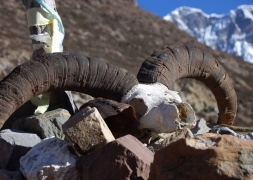 Start: We can arrange this trek on any date as per your requirement. 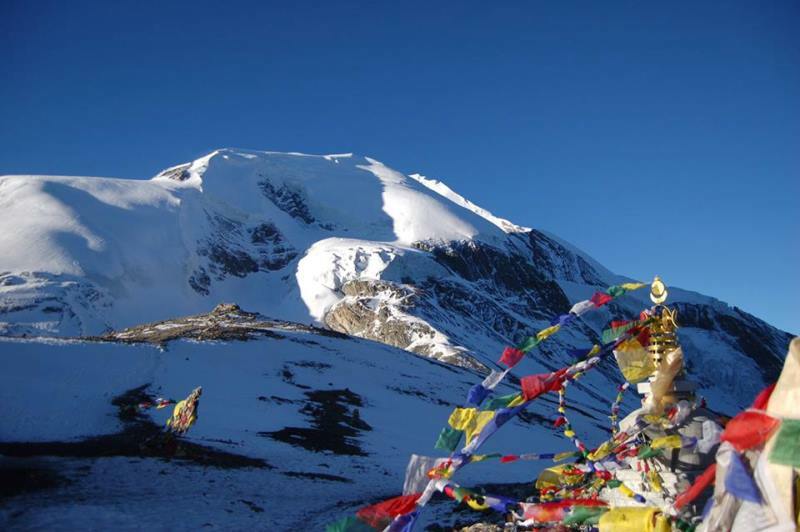 Annapurna Basecamp trek is one of the most famous, well-known and popular treks in the world. Mt. Annapurna is with a height of 8091 meters above sea level the 10th highest mountain in the world. There are rarely a few places on earth with such a splendid variety of natural beauty as that of Annapurna Region. It is a rare combination of long arrays of snow capped mountains, crystal clear lakes, turbulent rivers with deep gorges, Buddhist monasteries as well as hot springs and beautiful villages. So many natural landscapes to witness in one trek is surely remarkable. Like any other trip in the Annapurna region, we have to drive to Pokhara, famous for tourists because of its location at Phewa Lake and its good views of the Himalaya. From there we have to drive about 2 hours to Nayapul, the starting point of our trek. 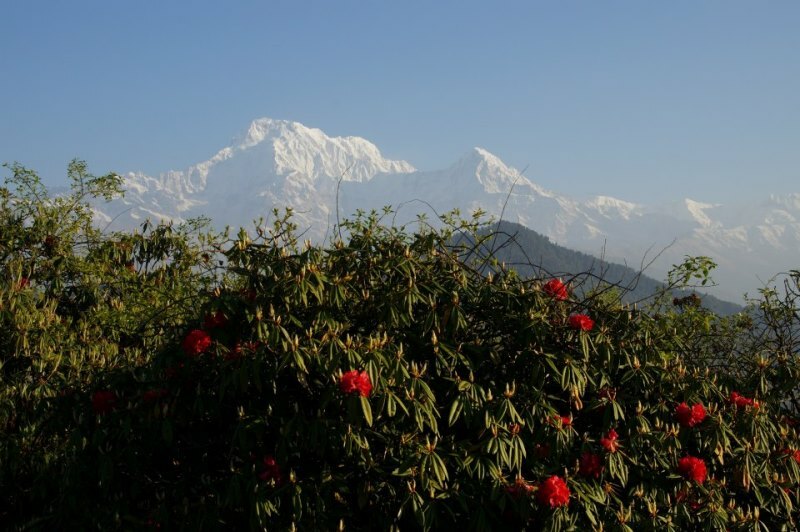 Besides the waterfalls, farmland, villages and peaks another attraction of Annapurna Base Camp Trek is the verdant rhododendron forest which surely will leave you spellbound. Annapurna Base Camp is nestled among the magnificent Annapurna Mountain, Hiunchuli, Machapuchhre and Annapurna South. Each and every place of this region is filled with lovely views and your trip to Annapurna, Nepal would be one of the most beautiful experiences which you could cherish forever. For those who wish to discover many natural types of scenery in one trip along with enjoying trekking, Annapurna Base Camp Trek is surely worth visiting. Day 03: Drive to Pokhara, 200 km. 6 Hrs. Day 07: Trek to Chhomrong (1920m), 5 Hrs. Day 08: Trek to Dovan (2505m). 5 Hrs. Day 09: Trek to MBC (4700m). 4 Hrs. Day 10: Trek to ABC (4130m) and trek back to Deurali (3200m). 6Hrs. Day 14: Drive to Kathmandu, 200 km. 6 hrs. Day 01: Arrival in Kathmandu and transfer to Bhaktapur (1335 meters). After having breakfast you go for sightseeing in Bhaktapur which is located in the east corner of the Kathmandu Valley. It is an ancient Newar city abought 8 miles far from the capital city Kathmandu. Bhaktapur was the largest of the three Newa kingdoms of the Kathmandu Valley, and the capital of Nepal during the great "Malla" Kingdom until the second half of the 15th century. It is famous for its rich culture, temples, and wood, metal and stone artworks. Today you drive from Kathmandu to Pokhara which takes about 7 hours by tourist bus. Looking out of the window of the bus you get beautiful views of mountains, the rice terraces which are so typical for Nepal and the people working on the field. After reaching Pokhara, you are escorted to the hotel. Pokhara is famous for tourists because of its location at Phewa Lake and the stunning views of the Himalaya which you get from there. 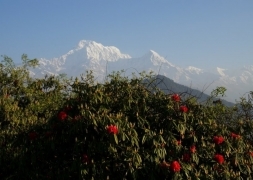 Take rest and enjoy the magnificent views of Dhaulagiri, Manaslu, fishtail (Machhapuchhare) and five peaks of Annapurna. Today you drive about 2 hours to Nayapul, the starting point of the trek.Then, you trek to Tikhedhunga for 4 hours, climb up to Hile (1495m) and then reach Tikhedhunga (1525m). We descend from Tadapani on a steep trail through a dense rhododendron forest. The trail opens up to perfectly manicured terraced fields. Next, ascend steadily and pass a few surging waterfalls before reaching a suspension bridge. A few more miles of uphill and downhill trek and we reach our destination for today, Chhomrong. It is a beautiful village located on the lap of the giant Annapurna massive. There are living mostly Gurung people, which are one of the major ethnic groups of Nepal. After leaving Chhomrong, the trail descends and crosses the Chhomrong Khola on a swaying bridge. The trail passes through rhododendron and oak forest up to Khuldighar. It takes nearly 5 hours to reach Dovan. We climb to Deurali through the bamboo forest and walk about 5 hours to Machhapuchhre Base Camp. From Machhapuchhre base camp we get excellent views of the majestic Machhapuchhre along with Mt. Hiunchuli, Annapurna South, Annapurna I, Annapurna III, Gandharvachuli and Gangapurna which is certainly a rewarding experience. On the way to Annapurna Base Camp, the vegetation disappears. We see the snow boulders melting and forming small streams. This area is also called Annapurna Sanctuary. Annapurna Base Camp is the main attraction of Annapurna Base Camp Trekking. From here, we get sensational views of the near-vertical south face of Annapurna towering above us. The sanctuary boasts of a dynamic view without anything impeding the 360-degree panorama. From the base camp we again get to savor mesmerizing views of the Machhapuchhre, Annapurna south, Annapurna I, Hiunchuli and other peaks. Today is not very exhausting, because we have to walk almost all the time downhill and we always have the company of the extraordinary landscape to cheer us up. Another beautiful village to be appreciated is Ghandrung having its own natural beauty. Most of the people there are Gurung people who provide lodging facilities to the visitors. You have to walk about 5 hours to reach this amazing village. After departure from Ghandrung, we hike back to Nayapul which takes about 5 hours and will be the end of our trekking. From there we will drive back to Pokhara, where you have free time. If you want you can go shopping at the lakeside, make a boatstrip at Phewa Lake, hike to World Peace Pagoda, or just relax and recover from the long trekking in the hotel. If the weather is good, you have a great mountain flight in the morning, with views of the Himalaya. After arrival in Kathmandu, you visit the most important sightseeing locations of Kathmandu. You visit Swayambunath, the "Monkey Temple" of Kathmandu, a buddhist pilgrimage place for buddhist with a small Stupa. Then you drive further to Pashupatinath. It is an important pilgrimage place for Hindus and a lot believers from India come there every week. There are lots of temples and at the shore of the holy Bagmati River, the believers burn there dead relatives. Last but not least you go to the big stupa of Boudhanath, which is also known as little Tibet and enjoy your dinner at the rooftop of the hotel with view of the Stupa. If you don't book any extension program you will be transferred to the airport and fly back to your homecountry. Enjoy adventure trekking trails and stunning views of the Annapurna Himalayan Range during your Annapurna Base Camp Trek. Spend several days moving through the homelands of the Gurung people and experience the local culture and the warm hospitality of them. Main highlight will be the brilliant views of Mt. Annapurna, Fishtail, Dhaulagiri and the Snow Glacier from Annapurna Basecamp.